Brabantia create solid and reliable bins, designed for the present, but made to last. With their sleek, contemporary designs and high quality construction, you can’t go wrong with a Brabantia bin. Looking for a stylish waste solution for your contemporary home? 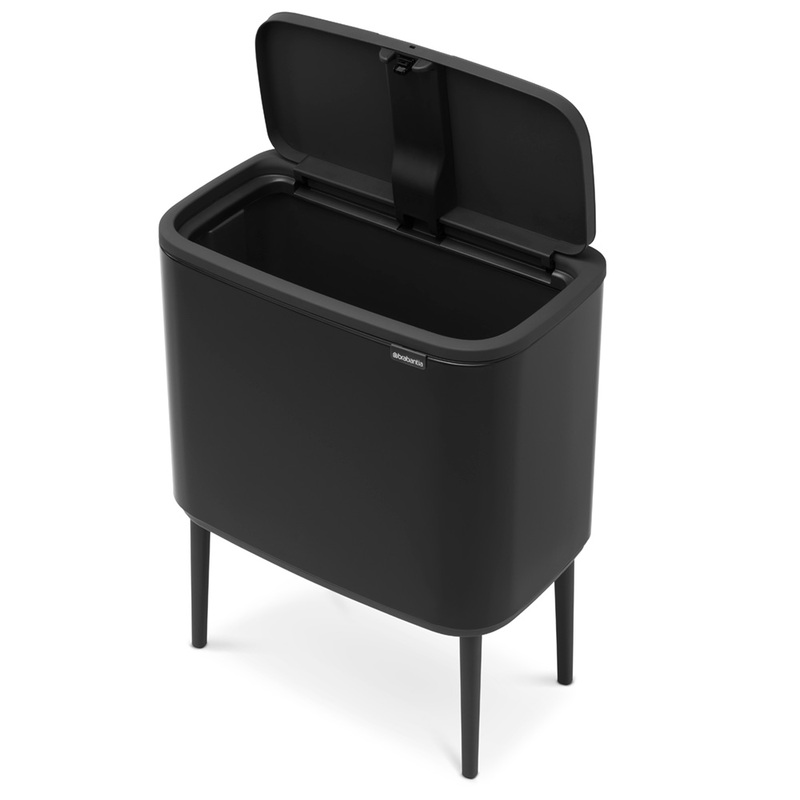 Brabantia is here to help with their sleek and innovative Bo Touch Bin. Available in a range of vibrant colours, the Bo Touch Bin features a sleek and modern design and comes with click-on, adjustable legs that are better for your back in the long run. With its space-efficient construction, the bin’s extra-large internal bucket comes out for easy cleaning, while the soft-touch system lets you open the bin with the lightest touch. Soft-touch system opens with the lightest touch. Large opening provides easy waste disposal without spillage. Extra-large internal bucket is ideal for larger families. Four click-on legs with adjustable height. Click-on legs prevent you from constantly bending over, while allowing you to easily clean underneath the bin. Internal bucket comes out for easy cleaning. Includes a sample pack of Brabantia’s PerfectFit Size-R 36 Litre Bags. Presented in a Brabantia box. Dimensions: 54cm (l) x 68cm (h) x 31.5cm (w).